Born in Haiti, Frederick spent most of his adolescent life between Haiti and Colombia until he moved to the US to attend Cornell University where he studied Architecture. He began his career in Brussels and continued on to work in Ithaca, New York. 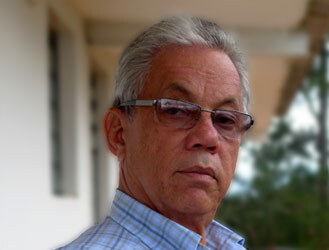 Since his return to Haiti in 1973, Frederick has acquired extended experience in many fields related to his profession such as Architectural Design, Urban planning, Project Management, Historic Preservation and Restoration, Supervision and Management of civil Engineering Projects and General Construction. With over 44 years of experience, Frederick has a varied national and international career with one of his most notable projects being the restoration of the Citadelle.